For this piece, we’ll be focusing on the areas of healthcare coverage, outcomes based reimbursement and physician ratings. While the increased choice and transparency of the healthcare exchanges has been applauded, doctors say the ACA’s healthcare coverage is deeply flawed. “High deductibles and copays essentially render patients with these insurances ‘insuranceless,’ except for prevention visits. If anything is found, the patient is unable to afford subsequent care and does not seek it,” noted one doctor. Premiums on plans increased more in 2016 than they did in 2015, leaving many patients to opt for the above-mentioned high-deductible plans to save money. Medical Economics points out that the preference for lower premiums, the disproportionate number of unhealthy patients and the impending end of the risk corridor program have led many big-name insurers like UnitedHealthcare and Aetna to withdraw from the exchanges. Physician reimbursement has changed from a fee-for-service model to a value-based model, which means they are rewarded for reporting data that shows they’ve achieved value-based outcomes. And while focusing on creating a healthier population with less need for medical services is a worthwhile goal, many physicians are concerned about the scale needed to track outcomes and how exactly value can be measured. “The problem is that this law does not reward good medicine, it only rewards good recordkeeping,” stated one physician. The inability to measure value when patients no longer need medical services because they’re healthy also creates an issue for hospital administrators, say some respondents, because administrators still need to fill beds and have a substantial number of employees. Modeled after its Hospital Compare site, the ACA has required CMS to create a similar site where people can compare physicians. One issue, respondents say, is that the site only includes information on about 40,000 of the 800,000 practicing physicians in the United States. Another is the inaccuracy of the information. “While inaccuracy alone is troubling, it’s made more complex by the fact that physicians will receive a 2% penalty on Medicare/Medicaid payments for not reporting their most up-to-date information to CMS, regardless of whether physicians themselves or a third party sent it,” wrote Medical Economics. 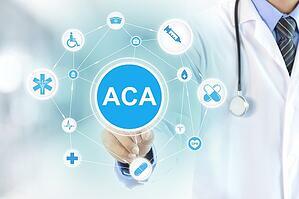 Read how your peers feel about the additional elements of the ACA here, and share your thoughts about it with us here. You’ll be the first to know when the survey results are ready.